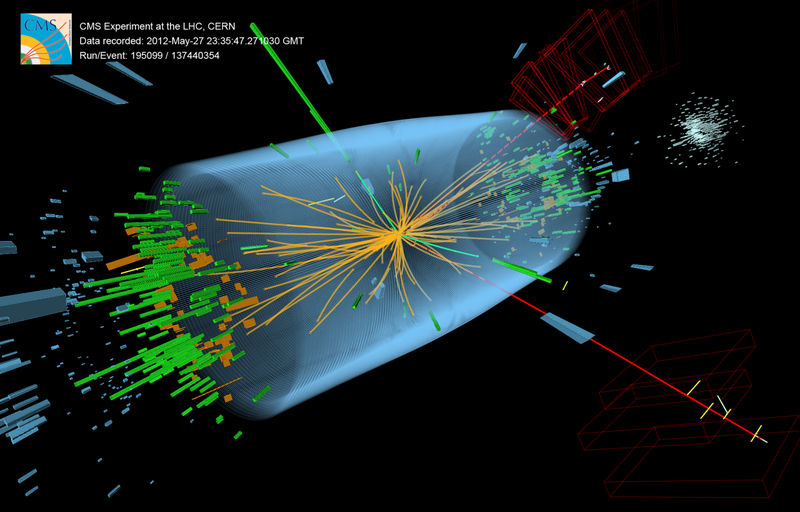 In a paper published in the journal Nature Physics today, the CMS experiment at CERN reports new results on an important property of the Higgs particle, whose discovery was announced by the ATLASand CMS experiments on 4 July 2012. The CMS result follows preliminary results from both experiments, which both reported strong evidence for the fermionic decay late in 2013. The Higgs boson is associated with a mechanism first put forward in 1964 by Robert Brout, François Englert and Peter Higgs to account for the different ranges of two fundamental forces of nature. Now referred to as BEH, this mechanism is postulated to give rise to the masses of all the fundamental particles. In order to test that idea fully, it is necessary to measure the direct decay of the Higgs boson into all kinds of particles. When the Higgs boson discovery was announced in 2012, it was based on measurements of the decay of the Higgs to other bosons, the carriers of nature’s forces. The results reported by ATLAS and CMS discuss the decay of Higgs bosons directly to fermions, the particles that make up matter. The measurements from both have given substantial evidence that the Higgs boson decays directly to fermions at a rate consistent with that predicted by the Standard Model of particle physics, the theory that accounts for the fundamental particles of visible matter and the interactions that work between them, giving structure to matter. "With our on-going analyses, we are really starting to understand the BEH mechanism in depth," says CMS spokesperson Tiziano Camporesi. "So far, it is behaving exactly as predicted by theory." "These results show the power of the detectors in allowing us to do precision Higgs physics," says ATLAS spokesperson Dave Charlton. "We’re coming close to achieving all we can on the Higgs analysis with run 1 data, and are all looking forward to new data when the LHC restarts in 2015." The Large Hadron Collider, CERN’s flagship research facility, has been off-line for maintenance and upgrading in last 18 months. Preparations are now underway for it to restart early in 2015.